SCHLAPPI –HELEN (SCHLAPPI) BOWER, (SRGP 69441) 81, Richfield, MN (formerly of Mansfield and Blossburg), diedApril 20, 2002 in Minnesota. She was the daughter of the late Adolth, Sr. and Fanny (Merriam) Schlappi. Surviving are her husband Robert; daughters, Sandra (Jim) Olson and Margaret “Peg” Bower; grandchildren, Krista and Kyle Olson. She was predeceased by a son, Robert L. Bower, II and brothers, Adolth and Charles Schlappi. A graveside service will be held 10 a.m. Thursday, April 25 at the Arbon Cemetery, Blossburg. A memorial service will be held at the Hope Presbyterian Church, S. Richfield, MN, May 1st. Memorials may be directed to the Hope Presbyterian Church, Portland Ave., So. Richfield, MN. Local arrangements are under the care of the Zwicharowski Funeral Home, Blossburg. Alfred Schultz, 55, Blossburg mine operator, was found dead at last Wednesday evening (10/8/1947) in a mine hole near here. Dr. Harry Williams, Tioga county coroner and Blossburg police chief Park Bateman are investigating the case today. It is the belief of miners and others in the town that Schultz was a victim of “black damp,” a dangerous gas given off by coal. Schultz had made arrangements to have the coal stripped on his East Hill property and had gone to the mine last evening to secure a sample of the coal before stripping operations began. He had been warned, however, of the prevalence of “black damp.” Alarmed at his failure to return, his wife (Maude E. Robbins) sought aid from the neighbors, and Harold Colvin and Raymond Brague finally found the body in an eight-foot hole on the nine property. Brague knew the exact location of the hole since he was to haul the coal when the stripping got underway. Funeral services were held at the home last Saturday afternoon with Rev. Dwight Loder, Methodist pastor, officiating and burial in Arbon cemetery. Survivors include his wife (Maude E. Robbins), two daughters, Mrs. Marian Stradley, of Wellsboro: Mrs. Fred Miller of Endicott: two sons, Harold and Howard, of Elmira; two brothers Clarence, of Blossburg, and the Rev. Arthur Schultz, of Elmira: and five sisters, Mrs. Bertha Naylor and Mrs. Mabel Powell, of Corning: Mrs. Lena Brown, Rochester: Mrs. Edith Ballenberger, of Hamlet, N.C., and Miss Martha Schultz, of Canadaigua. Herman SCHULTZ, aged 72 years, well known Blossburg coal operator, died Saturday (June 5) at his home on Granger street, after a long illness. He was a native of Germany and came to this country when a young man and had been a resident of Blossburg for many years. He is survived by his widow; five daughters, Mrs. Joseph Ballenger, of Averville, S.C., Mrs. Lee Brown, of Rochester; Miss Martha Schultz of Canandaiqua; Mrs. Alex Naylor and Miss Mabel Schultz of Blossburg; four sons Alfred, Clarence and George of Blossburg, and Arthur, of Wellsboro; two brothers, Henry of Montour Falls, and Charles, of Blossburg. Herman Schultz, a well known coal operater of Blossburg, met with a distressing accident in his coal mine at Blossburg Labor Day. There being no work Mr. Schultz went in the mines alone and in doing some work a huge rock became loosened and crushed him to the ground, where he was unable to free himself. When he did not return home at the usual hour his family became alarmed and men were sent to the mines, where Mr. Schultz was found pinned by the rock, badly hurt. He was at once removed to the Blossburg State Hospital. Louis C. Schultz, 79, of Hannibal Street, Blossburg, died Friday, Nov. 24, 2000, at Soldiers and Sailors Memorial Hospital, Wellsboro. Born July 3, 1921, in Blossburg, he was the son of Louis E. and Winifred Cambers Schultz. He was a graduate of Covington High School and later served the country during World War II in the U.S. Army. He served as the Blossburg postmaster for 20 years until his retirement in 1978. He was a member of St. James Episcopal Church in Mansfield, the Corey Creek Golf Club, the Hamilton Club, the Blossburg VFW Post No. 8730 Supreme Sacrifice, the Blossburg American Legion William B. Wilson Post No. 572, the Wheel Inn (where he served as past secretary) and was a charter member of the board of directors for the Tioga County Sports Hall of Fame. He was also a member and past secretary of the Blossburg Lodge No. 350 F.& A.M., the Williamsport Consistory, Irem Temple Shrine and the Tioga County Shriner's Club. He was an avid Penn State fan. Preceding him in death were two brothers, Alan and William. Surviving are his wife of 52 years, Ruth; three children, Pamela Bair of Rebersburg, Louis Schultz Jr. of Mechanicsburg and Joseph Schultz of Pittsburgh; and four grandchildren. Calling hours were held Monday, Nov. 27, at the Zwicharowski Funeral Home, Blossburg, where a Masonic service was also held. Funeral services were held Tuesday, Nov. 28, at the St. James Episcopal Church, Mansfield, with its rector, the Rev. Canon Rudolph van der Hiel, officiating. Burial was made at the Arbon Cemetery, Blossburg. Memorial donations may be made to the St. James Episcopal Church, 117 S. Main St., Mansfield, Pa. 16933. ELLIS SECHRIST, The funeral of Ellis Sechrist, late baggage master on the Blossburg and Hoytville train, occurred on Saturday afternoon (July 1901) last from his father’s home in the southern portion of the borough and was very largely attended by the people of Blossburg, Arnot, Landrus, Morris Run, Liberty, Union, Elmira, Corning and along the line of the Tioga branch of the Erie. The deceased was a man who had made many friends; kind, obliging, good neighbor and a good citizen and was highly respected. A special train was furnished gratis by the Erie road to Chemung Lodge No. 229, Brotherhood of Railroad Trainmen, of Elmira. Charles Ferris, Master, J. S. Kilmen, Secretary and about 49 members and their wives and friends, who attended the funeral of the deceased, he being an honored member of that order. The brotherhood, with Fred. W. Kraiss, undertaker, took charge and direction of the funeral. The ceremonies at the house consisted of scriptive reading and prayer, by Rev. H. S. Southall. At the grave in Odd Fellows’ Cemetery, prayer, by Rev. H. S. Southall, where the solemn and beautiful ritual of the Brotherhood, was rendered by the officers in charge. Benediction by Rev. Southall. The pallbearers were Patrick J. Donahoe and Ben. Sindlinger, of Blossburg, and four of the brotherhood, from Elmira. The special train was in charge of Frank Hebe, engineer; Michael Maloney fireman; Samuel Trull, conductor; Mick Nichols and Thos. Moore, brakemen. JOHN SECHRIST. The death of this worthy and respected citizen, occurred at his home in the southern portion of this Boro, on Friday morning, August 14th, 1903, after an illness of four weeks. Mr. Sechrist was born in Union township, 77 years ago and followed the occupation of farmer and stone mason. During his long and well spent life he was a resident of this vicinity, excepting for four years, which he spent in Iowa. In early live he married Miss Mary Miller of Liberty. Their children were Ellis, deceased, William, Anna deceased, wife of D. C. Sheib, Harry, Sarah, deceased, Sophia, Mrs. Hartsock, Mary, wife of George Cook, Luther, Edward and Laura. Several years after the death of his first wife he was united in marriage to Mrs. Rilla Stewart, who survives him. His funeral was held Sunday at 2 o’clock at his late home. Rev. E. Sutton Mace, pastor of the Methodist Episcopal church officiating. His remains were buried in Odd Fellows Cemetery. SARAH SECHRIST. IN a notice of the death of Miss Sarah Sechrist, the Blossburg Advertiser says. Miss Sechrist was an amiable and accomplished young woman, and was a general favorite. She was a successful teacher, having taught in the public schools of Blossburg and Canton. She was the daughter of John Sechrist and was born in Union Township 33 years ago. Besides her aged father she leaves five brothers, Ellis and Edward, of Blossburg; William C. of Canton; Luther, of Oklahoma, and Harry, of Kane. Also four sisters, Mrs. Sophia Hartsock and Mrs. D. C. Sheid, of Elmira; Mrs. George Cook, of Kane, and Miss Laura, of Canton. Her funeral was held at 1 o’clock on Wednesday from the residence of her father. Rev. Mr. Southall of the M. E. church officiating. The interment was in Odd Fellows Cemetery. The pallbearers were: H. F. Jones, B. L. Davis, James Blair, Arthur Smith, Allie Vaughn and Edward Coggshall. SECHRIST –THELMA W. MASE age 82, of Pine City, NY, born November 5, 1922 - died October 9, 2005. Thelma lost a courageous battle to cancer with grace, dignity, and a strong spirit. She was the foundation and the heart of the family. Her smiles, open arms, wisdom, and generosity welcomed you at her doorstep, with no judgment and with unconditional love. She was predeceased by husband, Milton "Jack" Mase; brothers, Barney and Duke Sechrist; and Heather Mase, Emily Stalis, and Richard J. Stalis. She graduated from Liberty H.S. in 1939 with highest honors. Survived by sons, James W. (Rena) Mase of Pine City, Milton Joseph (Mary) Mase of Pine City, John C. (Janet) Mase of Pine City, Jerome L. (Donna) Mase of Southport, Jeffrey L. (Brenda) Mase of Pine City; daughters, Jacalyn R. (Bucky) Peel of Painted Post, Jennifer N. Edwards of Painted Post, and Joy L. (Ermen) Paulo of Elmira Heights; brothers, Don (Shirley) Sechrist of Williamsport, PA, Robert (Virginia) Sechrist of Williamsport, PA; and sister, Mildred Brown of PA. She has 28 grandchildren, 38 great-grandchildren, and three great-great-great-grandchildren. She will be missed by all. Friends are invited to call at the Olthof Funeral Home, Inc., 1050 Pennsylvania Ave., Elmira, NY on Wednesday, October 12, 2005, from 2 to 4 and 6 to 8 p.m. A Funeral Service will be conducted there Thursday at 10 a.m. by Pastor Richard Hack. Burial in Arbon Cemetery in Blossburg, PA, will be at the convenience of the family. Donations may be made in memory of Thelma to St. Joseph's Hospital Foundation, 555 E. Market St., Elmira, NY. –Elmira Star Gazette. Francis J. 86, formerly of 357 South Williamson Rd., Blossburg, died March 2, 2007 at Broad Acres Nursing Home, Wellsboro. Francis was born December 17, 1920 in Akron, Ohio, the son of Jesse Calvin and Anna Richardson Howland Shelley. He was a WWII veteran having served with the US Navy from 1942-1945. On January 7, 1945 he married Edna; they had celebrated 61 years of marriage. Edna preceded Francis in death on November, 3, 2006. Francis was retired from J.P. Ward Foundry. He was Methodist by faith; he was a member of the Blossburg Masonic Lodge No. 350, where he was a devoted Masonic instructor, William B. Wilson American Legion Post 572, Blossburg, American Red Cross blood donor for several years. Frank enjoyed fly-fishing and hunting in his free time and was a devoted sports fan. Survivors include his sisters, Ella Rhea Shelley Wood, Spencer, NY, Marion Shelley Keck, Coudersport, and Katherine Shelley Meacham, Cottonwood, AZ; a brother, Jesse (Judy) Shelley, Mandeville, LA; several nieces and nephews and great-nieces and nephews. Preceding him in death, in addition to his parents and wife, Edna, were brothers, Ransford Shelley and George Shelley. A dual memorial service for both Francis and Edna along with Masonic and military services will be held on Sunday, March 25, 2007, at 2 p.m. at the Freeberg Funeral Home, Blossburg, with Pastor Jason Guillaume officiating, burial will be at Arbon Cemetery, Blossburg. Donations may be made in memory of Francis and Edna to the Blossburg Ambulance Association, P.O. Box 2, Blossburg, PA 16912, or Broad Acres Nursing Home, 1883 Shumway Hill Rd., Wellsboro, PA 16901. SMITH, Christina Waldron – Mrs. Henry Waldron, of Arnot, died Wednesday, aged 60 years. The funeral was held Saturday, conducted by Rev. T.M. Hurst, pastor of the Presbyterian church, interment in Arbon cemetery, Blossburg. Besides her husband she is survived by four sons and a daughter: George, of Chicago; Harry, James and Albert, of Arnot, and Mrs. Charles Radcliffe of Cleveland, O. Four brothers and four sisters also survive: James Smith of Coalport; F.D. Smith of Phillipsburg, Pa., Harry and Alexander Smith, both of Marietta, Wash.; Mrs. Margaret Gwyn West of Brownsville, Pa., Mrs. Henry Boger, of Clearfield, Pa.; Mrs. William Martin of Emeigh Run, Pa., and Mrs. W.H. Ellis of Homer City, Pa. Wellsboro Agitator, 23 April 1919. SMITH, Christina Waldron – Arnot, April 21. Mrs. Henry Waldron died at her home last week, aged 60 years, after a long illness of cancer of the stomach. The funeral was held from her son James’ home on Saturday at 2 o’clock and was conducted by Rev. T.M. Hurst, pastor of the Presbyterian church; interment in Arbon cemetery, Blossburg. Besides her husband she is survived by four sons, George, of Chicago; James, Harry and Albert, of Arnot, and one daughter, Anna Mae, of Cleveland, Ohio. Wellsboro Agitator, 23 April 1919. Franklin Smith, 63, of Blossburg, died Friday, April 20, 1973, in the Williamsport Hospital. He was born in Blossburg on Jan. 28, 1910, a son of Mrs. Almina Sechrist Smith and the late Benjamin Smith. Mr. Smith was a member of the Blossburg Seventh-day Adventist Church. He was formerly employed for 42 years as a male nurse at the Blossburg State Hospital. Surviving are his wife, the former Helen Tanner; two daughters, Mrs. Phyllis Williams, of Blossburg, and Mrs. Dorothy Frank, of Newbury Park, Calif; a son, Donald, of Blossburg his mother, of Blossburg; three sisters, Mrs. Mable Hazelwood, of Blossburg, Mrs. Anna Smith, of Arlington, Va., and Miss Margaret Smith, of South Lancaster, Mass; four brothers, Harry, of Takoma Park, Md., Ernest, of Blossburg, Robert, of Covington, and Kenneth, of Stoneham, Mass., and nine grandchildren. The funeral was held on Monday, at Adam's, 303 Main St., with burial in Arbon Cemetery. The Rev. Robert A. Hoffman, his pastor, officiated. Franklin SMITH, age 63, of 341 N. Williamson Rd., Blossburg, PA. Friday, April 20, 1973, at the Williamsport General Hospital. Friends are invited to call at the Adams Funeral Home, Blossburg Sunday 2 to 4 and 7 to 9 p.m. Funeral there Monday at 2 p.m. Pastor Robert Hoffman. Burial in Arbon Cemetery, Blossburg. Survived by wife, Helen Tanner Smith; daughters, Mrs. Phillis Williams, Blossburg, Mrs. Dorothy Frank of Newbury Park, CA; sons, Donald of Blossburg; mother, Mrs. Almina Smith of Blossburg; sisters, Mrs. Mabel Hazelwood of Blossburg, Miss Anna Smith, Arlington, VA, Miss Margaret Smith, S. Lancaster, MA; brothers, Harry of Tecoma Park, MD, Ernest of Blossburg, PA, Robert of Covington RD, Kenneth of Stoneham, MA; nine grandchildren. Mr. Smith was a member of the Seventh Day Adventist Church of Blossburg. He was a former employee of the Blossburg General Hospital for 43 years. Franklin Smith, 63, of Blossburg died Friday, April 20, 1973 in the Williamsport, NY. He was born in Blossburg on Jan. 28,1910, a son of Mrs Almina Sechrist Smith and the late Benjamin Smith. Mr Smith was a member of the Blossburg Seventh-Day Adventist Church. He was formerly employed for 42 years as a male nurse at the Blossburg State Hospital. Surviving are his wife, the former Helen Tanner, two daughters, Mrs Phyllis Williams of Blossburg and Mrs Dorothy Frank of Newbury Park, CA, son Donald of Blossburg, his mother of Blossburg; three sisters, Mrs. Mabel Hazelwood of Blossburg, Mrs Anna Smith of Arlington, VA and Miss Margaret Smith of South Lancaster, Mass. ; four brothers, Harry of Takoma Park, MD, Ernest of Blossburg, Robert of Covington and Kenneth of Stoneham, MA and nine grandchildren. The funeral was held on Monday at Adam’s 303 Main St. with burial in Arbon Cemetery. The Rev. Robert A. Hoffman, his pastor officiated. SMITH –MARGARET SMITH LLEWELLYN, 88, formerly of Blossburg, diedOctober 31, 1994. She was born January 16, 1906, in Clearfield County, PA, the daughter of the late William B. and Lyle (Taylor) Smith. She was a loving mother and homemaker to her family. She is survived by two sons Richard Llewellyn, Blossburg and Robert Llewellyn of Peru, NY; four daughters, Joyce Smith, Faye Kenyon, Bonnie Haddow, all of Blossburg and Mary Lou Machmer, Canton; brother, William D. Smith, Wellsboro; two sisters, Marie Welty, Apple Valley, CA and Lillian Smith, Gang Mills, NY; 19 grandchildren and 18 great-grandchildren. She was preceded in death by her husband Paul, August 3, 1990 and a son Beryl Llewellyn. Private services were held at the Drinkwine Morse Funeral Home, Blossburg, with the Rev. R. Wayne Hogue, pastor of the Blossburg United Methodist Church, officiating. Interment was in Arbon Cemetery, Blossburg, PA. Memorial contributions may be made to the Blossburg Memorial Hospital, 307 Main Street, Blossburg, PA. –Canton Independent Sentinel. **another obituary the same as above but after the funeral says: The funeral was held Friday afternoon, conducted by Rev. Owen C. BARRETT, a pastor of the Methodist Church; burial in Arbon Cemetery at Blossburg. **on the same page is an obituary on Jane’s sister – Mrs. Maria LEE aged 89 years, widow of George LEE. Died at her home in Bluefield, W. Va., March 7, 1937. The family, former residents of Arnot, moved to West Virginia many years ago. She is survived by several sons and daughters, and was a sister of Mrs. Jane HUGHES, of Blossburg, recently deceased. BLOSSBURG-Frank Soper, 79, of Granger Street, died this morning, Tuesday, March 13,1962,in the Blossburg State Hospital, following an extended illness. Born in Sullivan Twp., May 9, 1882,, he was the son of Jerome and Sophronia Purvis Soper. A retired showman, he has traveled with the Marks Shows for many years. He was a member of the First Baptist Church. Surviving are a daughter, Mrs. Margaret Cork, of Albion, N.Y., a sister,Mrs. Cora Miller, of Blossburg; three grandchildren. The Rev. Maurice Entwistle will conduct the services. Services will be at 2 p.m. Thursday at Adams, Main Street. Burial will be in Arbon Cemetery. 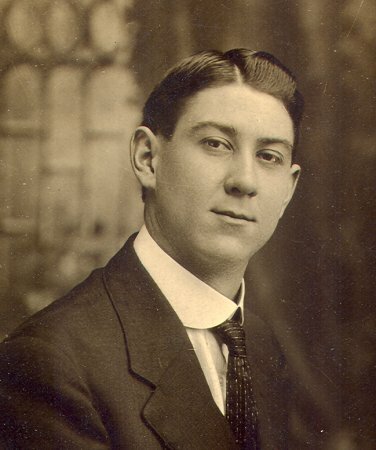 Friends may call at the funeral home tonight from 7 to 9 and Wednesday from 2 to and 7 to 9 p.m.
An article about Frank Soper 21 JUN 1904 - On Tuesday afternoon, while at work in M. Perls’ steam laundry, Frank Soper had a narrow escape from a horrible death. He was engaged in wiping off a shafting preparatory to putting on a new pulley, when his glove and the sleeve of his shirt were caught in the belt and he was drawn toward the rapidly revolving shafting which was only a few inches from the roof. Fortunately his shirt sleeve gave way and he was able to extricate himself. His right arm was broken in two places and his back badly sprained. He was taken to his home and Dr. Crandall attended him. Later he was removed to the Cottage Hospital. This is the first accident that has occurred at the laundry. Monday morning about 5 o'clock, Mrs. Jerome Soper went to the door of her husband's room to call him. She received no answer, and an examination soon revealed the fact that he was dead. From the coldness of the corpse it is supposed that he had diedearly in the night, and the healthy appearance of Mr. Soper on the night previous made it a most unpleasant surprise. The deceased was quite an old man and an old soldier, a member of Brown post, G. A. R., of this place. He enlisted in the Union army early in the struggle, and remained to the last. Many years he has resided in Blossburg. the funeral occurred Wednesday at 2 p.m., from the house. Interment was at Odd Fellows cemetery. The following are the pallbearers, some of whom are brother members of the G. A. R.: Messrs, Caspar Lienhardt, Louis Belsea, Thomas Evans, Lyman Jennings, Benjamin Williams and Thomas McEntee. Mrs. Mary Jane SOPER Steele, 80, of Blossburg, widow of Warren Burr Steele (W.B. Steele), died unexpectedly Monday afternoon, July 2, 1951, at home. 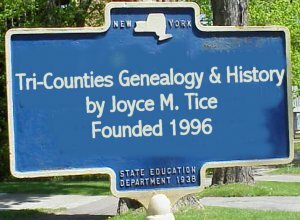 A native of Sullivan Township, Tioga County, Mrs. Steele was the daughter of the late Jerome and Sophronie [Sophronia, Sephrona] Soper. She was a member of the Faith Rebekah Lodge, the Oruba Class and Baptist Church of Blossburg. Survived by daughter, Mrs. E. R. Packard of Syracuse; son, Fred Steele of Binghamton: sister, Mrs. Cora (Soper) Miller, and brother, Frank Soper, both of Blossburg; five granchildren; eight great-grandchildren; several nieces and nephews. The body is at the Ellis Funeral Hone, Blossburg, and late today will be removed to the family home where friends may call and where the funeral will be held Thursday at 2 p.m. The Rev. Maurice Entwistle. Arbon Cemetery, Blossburg. Frederick STEELE, 66, of 158 Henry Street, Binghamton, N.Y.,died at his home Friday, Feb. 26, 1960, at 10 p.m. Mr. Steele was born in Blossburg, the son of the late Warren Burr Steele and Mary Jane (Soper) Steele. He was a member of the First Baptist Church in Binghamton. Surviving are his wife, Eleanor; three sons, Robert, of Kirkwood, N.Y., and Fred and Powell, both of Binghamton; two daughters, Mrs. Jane Fiato, of Binghamton, and Mrs. Margaret Gerbitz, of Red Hook, N.J.; one sister, Mrs. Lillian Packard, of Syracuse, N.Y., and nine grandchildren. Funeral services will be held Monday, at 2 p.m., at the Adams funeral home at Blossburg. The Rev. Maurice Entwistle, pastor of the First Baptist Church of Blossburg, will officiate. Burial will be in Arbon Cemetery, at Blossburg. Friends may call today from 2 to 4 and 7 to 9 p.m.
Blossburg - W. Burr STEELE, 70, injured two weeks ago when he fell from a ladder while working at the Baptist Church, died Friday at the Blossburg Hospital. He had suffered a fractured sternum and other chest injuries. A carpenter, Mr. Steele had resided in Blossburg more than 50 years. Last May he and Mrs. Steele observed the golden anniversary of their marriage. He was a member of the Baptist Church and Arbon Lodge, IOOF. Surviving are his wife, a daughter in California and a son, Frederick, and five grandchildren in Endicott. The funeral will be conducted at the home Monday at 2p.m. by the Rev. David J Griffiths of the Mansfield Baptist Church. Burial will be in Arbon Cemetery. Former Blossburg Boy Dies Suddenly - Word was received here Tuesday of the sudden death of William STEELE at Pitssburg. Mr. Steele was the sone of Mr. and Mrs. W.B. Steele, of this place, (Blossburg) who survive him. He is also survived by his wife, one brother, Fred, of Blossburg, and one sister, Leila, of California. The body was broought to Blossburg today. Funeral arrangements are not completed. William Steele, son of Mr. and Mrs. W. Steele, of Blossburg, died July 18, in Pittsburg, whee he had made his home for several years. He was born in Blossburg, 32 years ago, attended the public schools and lived there untill early manhood. He formerly was employed by a railroad company with headquarters at Pittsburg. Despondent because of lack of employment, he ended his own life. He is survived by his widow, his parents, Mr. and Mrs. Burr Steele, of Blossburg; also a sister and several nephews and nieces. Burial in Arbon cemetery at Blossburg. ESTHER STOKES, 96, Union Township resident and retired school teacher, diedquietly at the Broad Acres Nursing Home Wellsboro, May 26. Born in her family’s log house at Morris Run, December 16, 1900, she was one of five children born to George and Mary (Knothe) Stokes. Young Miss Stokes, a coal miner’s daughter, was destined to follow the teaching profession where she would enlighten young minds and help build young characters. She graduated from Mansfield State Teachers College (now Mansfield University) in 1924 and taught in the one room schoolhouses throughout Union Township. Miss Stokes was especially well known in the schools at Gleason, Morris Run, English Hill, Joe Hill, Spencertown and Ogdensburg. She was a good friend whose main concern was for the children. She would often join her class at recess in a game of baseball, or whatever the game of the day might be. During snowy weather she was reluctant to drive her Model T Ford, so she would walk the three miles to school, arriving at least an hour to school, arriving at least an hour before class, to fire up the potbelly stove so that the children would be warm. When the schools of Union Township were consolidated and the one room schoolhouse became a thing of the past, Miss Stokes taught third grade in the Canton Elementary School. She retired in 1963 after four decades of enriching young lives. Miss Stokes was inducted into the Pi Gamma MU Education Honor Society, was a member of the Canton Chapter #71 Order of the eastern Star where she was Past Matron and Past District Deputy, was a member of the PA State Education Association. She was also a Brownie Scout leader for many years, and was a member of the Society for the Preservation of Covered Bridges. Her faith in the Lord was of paramount importance in her life and she was a member of the Church of Christ, (Disciples of Christ) in Canton, taught Sunday School, Vacation Bible School and was Sunday School Superintendent. She was very adept with hand crafts and was known as a master quilter. Like her parents before her, Miss Stokes was an avid gardener of both flowers and vegetables. She was well traveled touring the continental United States and Canada for over 40 years until her health no longer permitted it. Her first journeys were made in her Model T. By the 1970s she was organizing bus trips for the Canton Senior Citizens. Surviving are her niece Laura (husband Charles) Husted, Canton RR 2; great nieces Katharine Husted, Minneapolis, MN and Caroline (husband Robert) Prevette, South Bend, IN; as well as three great-great-nephews; Stephen, Robert and Gregory Prevette and very special friend Frances Laninger, Canton. Funeral services were held May 30 at the Morse and Kleese Funeral Home, with rev. David Morris, her pastor, officiating. Interment was in the Arbon Cemetery, Blossburg. Memorials in Miss Stokes’ name may be made to the Church of Christ, Disciples of Christ, Canton, PA or to the Green Free Library, Canton. –Canton Independent Sentinel. STOKES, George O. – The funeral of George O. Stokes who died Sept. 29, was held from his late home in Morris Run, Rev. Geo. Lees officiating and was in charge of Bloss Lodge No. 350, F. & A.M. Burial was in Arbon cemetery, Blossburg. Mr. Stokes was born at West Union, Iowa in 1855, and came to Morris Run when a young man, where he had since resided except for a couple years in Chicago. On August 5, 1884, he married Miss Mary E. Knothe of Chicago, who survives him. Three daughters, Mrs. William Evans of Morris Run, Mrs. George Myers of Mansfield, and Miss Esther Stokes at home; two sons, Arthur J. Stokes of Washington D.C. and Orville K. Stokes of Buffalo, also survive him. Mr. Stokes was the last of the charter members of Lake View Lodge No. 774, A. F. & A.M. of Chicago. The following acted as pall bearers: Robert McBlane, Samuel McBlane, William MacLaughlan, James Martin, John Jenkins, and James Woodhouse. Wellsboro Agitator 15 October 1919. STRATTON Myron H – Dashed to Death, Engineer STRATTON, of Blossburg, Killed and His Fireman Badly Injured. Leslie John Streeter, 53, of Addison, NY, formerly of Blossburg, died Monday, Nov. 5, 1973, in the Corning Hospital, Corning, NY, following an extended illness. Mr. Streeter was a retired employe of the Corning Glass Works with 27 years of service. He was a member of the Flint Glassworkers Union. Mr. Streeter was a veteran of World War II. Surviving is a sister, Mrs. Jennie Buckley of Erin, NY. The funeral was held Thursday at the Olthof Funeral Home, Elmira, NY. Burial was in Arbon Cemetery, Blossburg. Anna R. Ritter, 70, of RD#1, Mansfield, died Sunday, Aug. 30, 1987, at Soldiers and Sailors Memorial Hospital in Wellsboro. Born at Morris Run, April 23, 1917, she was the daughter of Swan August and Hannah Carlson Swanson. She was a member of Siloa Lutheran Church in Morris Run and a member of Elizabeth Rebekah Lodge #2191. She retired in 1979 after working many years as a teacher at Warren L. Miller Elementary School in Mansfield. Her first husband, Stephen Somogy, died in July, 1954. Her second husband, George Ritter, died in June. She is also predeceased by three sisters, Elin Diher, Edythe Repard and Hildur Isaacson. She is survived by two sons, Ronald S. Somogy of Troy, and Stephen Gary Somogy of Atlanta, Ga.; two grandchildren; three brothers, Albin Swanson and John Swanson, both of Blossburg, and Tom Swanson of Westminster, Md. ; and two sisters, Mrs. Eva Clarkson of Covington and Mrs. Freda Preston of Elmira, NY. Funeral services were held today (Sept. 2) at the Scureman Funeral Home, Mansfield, at 1 pm. The Rev. George E. Doran officiated. Burial was made in Arbon Cemetery in Blossburg. Charles A. Swanson, age 89, of Morris Run, Pa. died Thursday, July 5, 1973 at St. Joseph's Hospital, Elmira, NY. Funeral service was Sunday 1:30 pm at the Siloa Lutheran Church, Morris Run, with Rev. Glen Sullivan officiating. Burial was in Arbon Cemetery, Blossburg. He is survived by sisters, Mrs. Emma Hartwell of Everett, Mass. and Mrs. Vera Patterson of Johnson City, NY; several nieces and nephews. Mrs. Millicent Harding of 206 North Williamson Road, Blossburg died at the Soldiers and Sailors Memorial Hospital in Wellsboro Sunday evening, September 30th. She was 83. The widow of Walter Harding, she was born in Kane, Pa. on July 5th, 1890 the daughter of Peter and Clara Renier Swanson. Surviving are Mrs. George Evans, of Blossburg, Mrs. John Larrison and Mrs. Ambrose Bogaczyk; four Sons, Clarence of Covington, Frederick of Horseheads, Louis of Arnot, and Charles of Blossburg; a sister, Mrs. Paul Schanf of Erie; three brothers, Charles and Paul Swanson, both of Kane, and Martin Swanson of South America; twenty-two grandchildren and eight great-grandchildren. Funeral services were held October 3rd at Adam’s Funeral Home, Blossburg. Rev. Robert A. Hoffman, pastor of the Seventh Day Adventist Church of which she was a member, officiated. Burial was in Arbon Cemetery. SWEETEM Wesley W. - Wesley W. Smeetem, aged 27 years, died at the Blossburg hospital on Dec. 20. He was employed at the Morrow plant at Elmira and not feeling well, returned to his home in Arnot, where it was found that he had a light attack of influenza, which was followed by an attack of Bright’s disease. He was removed to the hospital Thursday evening, where he died Friday. Besides his widow he is survived by two children and his parents, Mr. and Mrs. James Smeetem, of Arnot. Funeral services were held Dec. 23, Rev. T. M. Hurt officiating; burial in Arbon cemetery, Blossburg. Wellsboro Agitator, 1 Jan 1919.